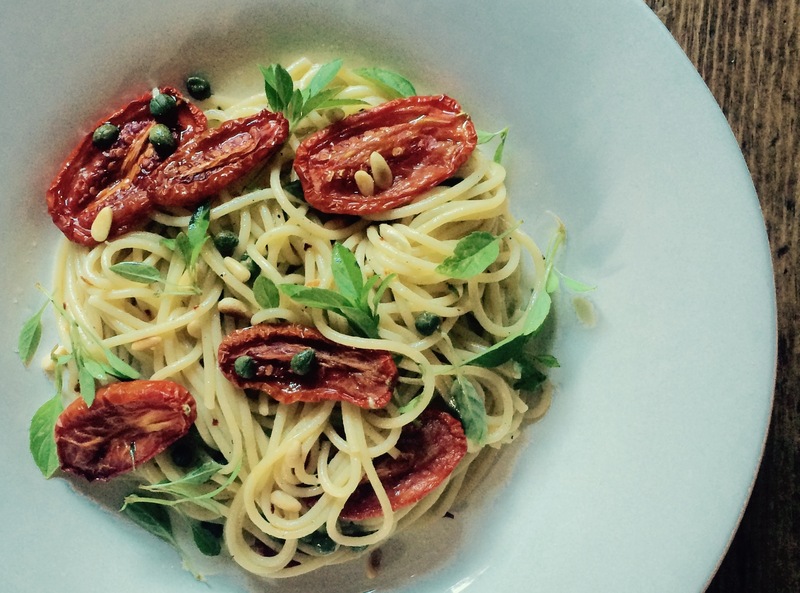 San Marzano tomatoes are the most famous plum tomato to come out of Italy. If you compare these heirloom varietal tomatoes with other plum tomatoes you will find they are slim, thicker fleshed, contain fewer seeds, and the taste is sweeter, less acidic and not overly juicy which which is key for making a nice luxuriant sauce. We planted this heirloom varietal in our garden this year. We didn’t know what to expect considering the imported canned tomatoes we adore are grown in the rich volcanic soil at the base and in the shadow of Mount Vesuvius. Our climate here in Seattle is mild, and the summer weather this year was particularly tomato friendly. Happily, we are harvesting these wonderfully sweet, sturdy plum tomatoes with little water content; making them perfect for slow roasting, then tossed into a bowl with your favorite pasta. If you would like to forego the pasta these are lovely as is, straight from the oven to table. 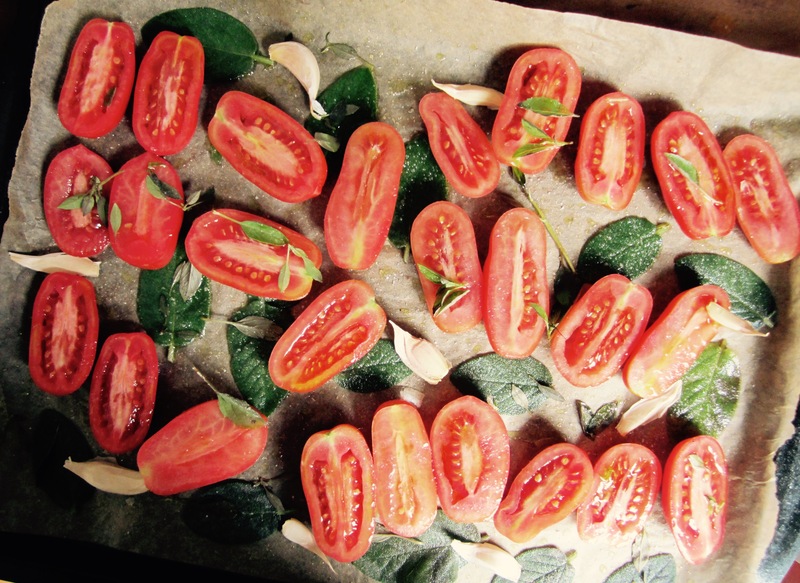 With the changing of the season, now is a perfect time of year to turn on your oven, set at 225°F (107°C), place a dozen or so fresh halved Roma tomatoes on a baking sheet, drizzle with olive oil and a little salt and roast for a good 2 -4 hours. 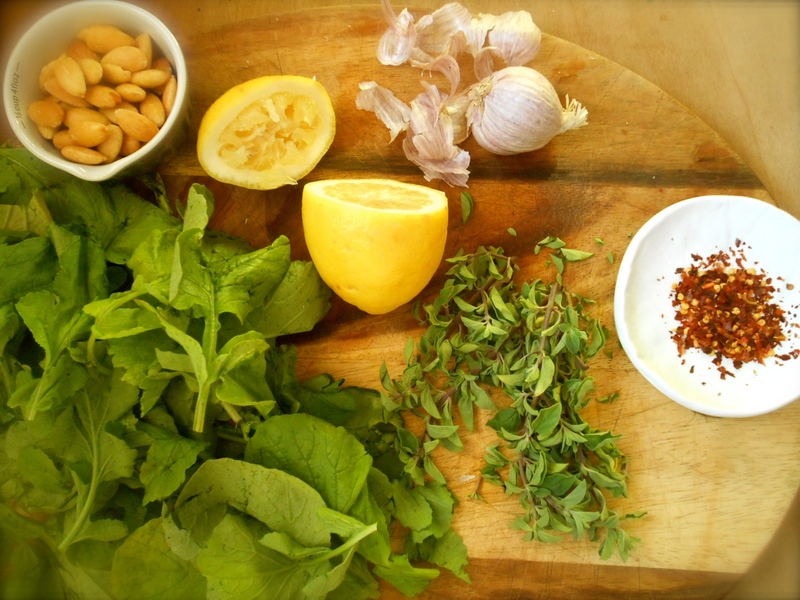 If you would like to add several unpeeled cloves of garlic and fresh herbs, as pictured above with sage leaves, you will be pleased when your kitchen is filled with a delightful aroma. These are unbelievably delicious. Last week I finished a whole sheet of them in one sitting, by myself! Slice tomatoes in half, drizzle with olive oil and salt. Roast the tomatoes, centers facing up, in a 225°F oven. 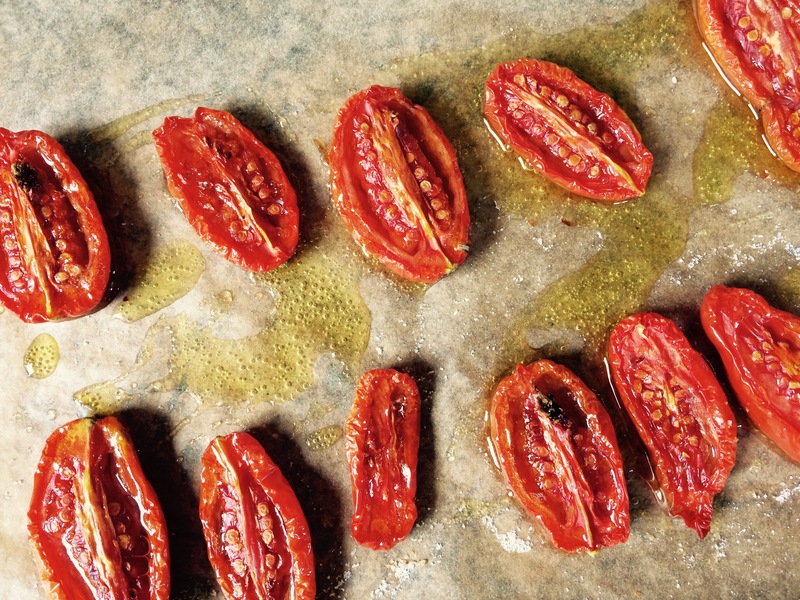 Roasting time will vary depending on the size of your tomatoes. I roasted mine for 3 hours. Cook your pasta in salty water until a little under al dente, reserving some of the pasta water. In a large skillet over medium high heat enough olive oil so it coats the bottom of the pan. When the oil is just simmering and add the garlic. Heat until fragrant, about 30 seconds, do not brown the garlic. Add the pasta and toss, adding some pasta water as needed. Add a few pinches of salt & pepper and continue to cook the pasta in the skillet until the pasta is perfectly al dente, about 2 minutes. 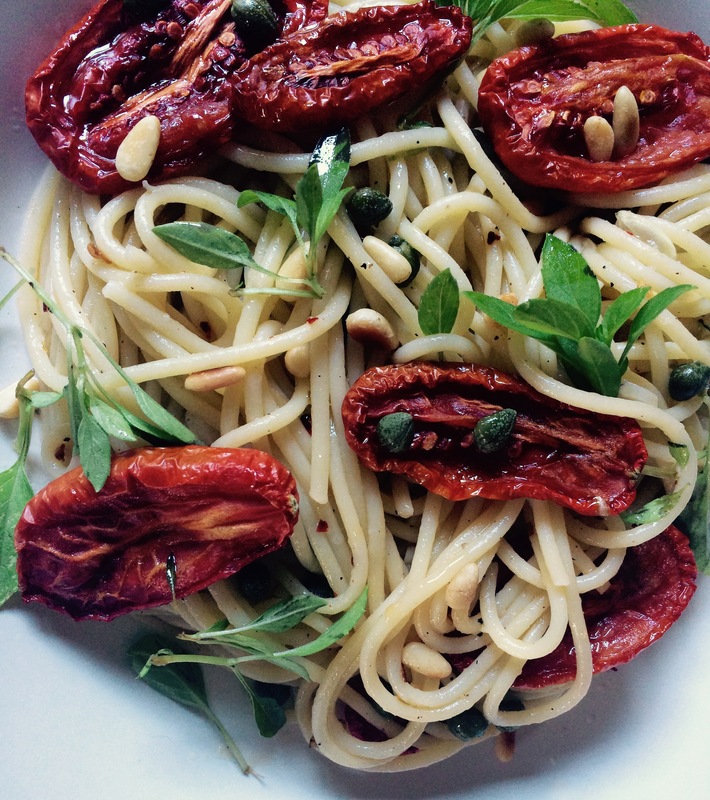 Remove from heat, add a few squeezes of lemon and stir in capers, pine nuts, red pepper flakes, fresh basil, and the tomatoes. Taste and adjust seasonings. 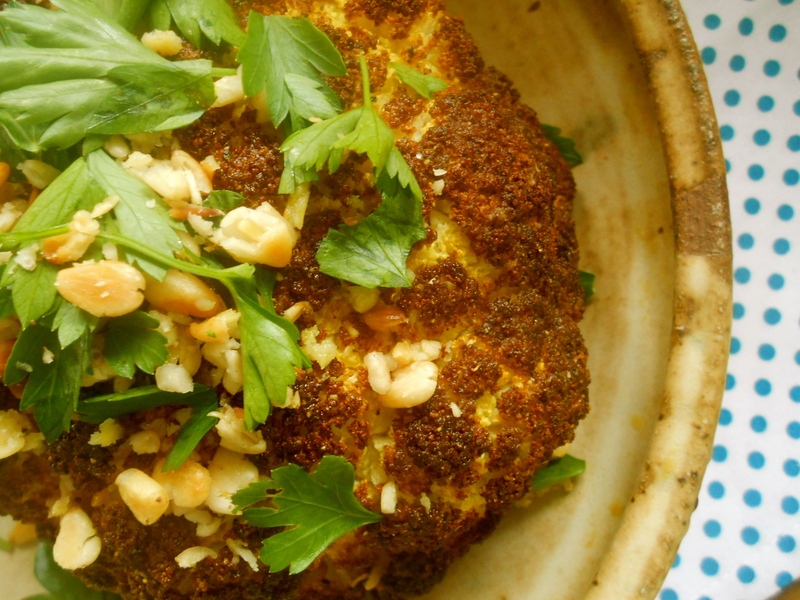 I know some of you are thinking not another roasted cauliflower recipe. 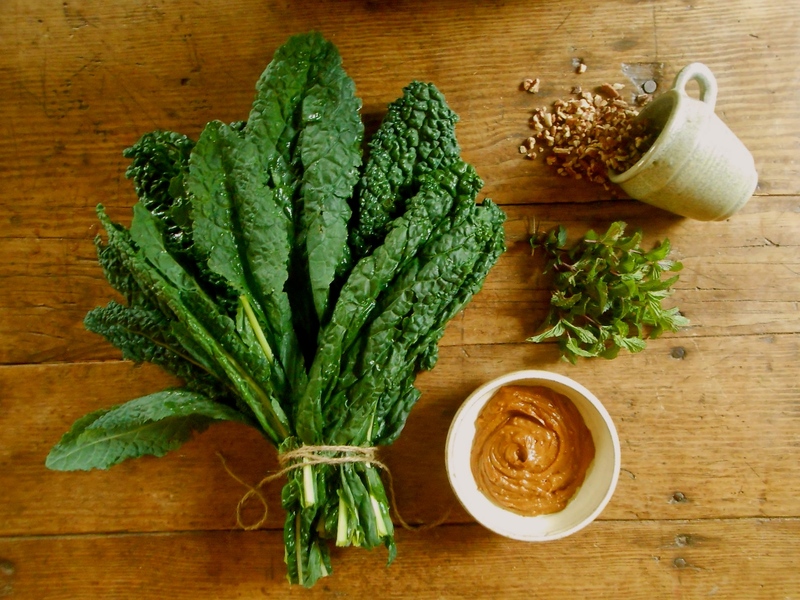 How many different recipes do we really need for the same vegetable? But please give me your attention for just a second because I am here to tell you the many wonders of this particular version. Not only is it in the oven lickety-split to free you up for your other high maintenance dishes you may be preparing, but you could just forego the other dishes and have this for dinner, period. Other than simplicity of putting this together there are a couple of things you’ll love about this. One is the crispy aromatic outer layer. We went a little heavy on the olive oil just to achieve this result. And with the lovely spices there is no denying the alluring aroma that will fill your kitchen – or in our case, the entire house. Spicy crispy outer layer, soft nutty tender inside, this is why I posted another cauliflower recipe. The lovely cream sauce kept us dipping until the whole head of cauliflower was finished. This recipe comes from the beautiful blog An Edible Mosaic. Preheat oven to 425F. Line a large baking sheet with parchment paper. Remove the outer green leaves from the cauliflower and use a paring knife to cut out the core, leaving enough core intact so that the florets stay together. Place the cauliflower on the prepared baking sheet and rub generously with the olive oil. Combine all the spices for the cauliflower in a small bowl, and evenly rub the spices onto the oiled cauliflower. Cook until the cauliflower is tender inside and golden outside, about 1 hour 15 minutes, rotating the baking sheet once halfway through. 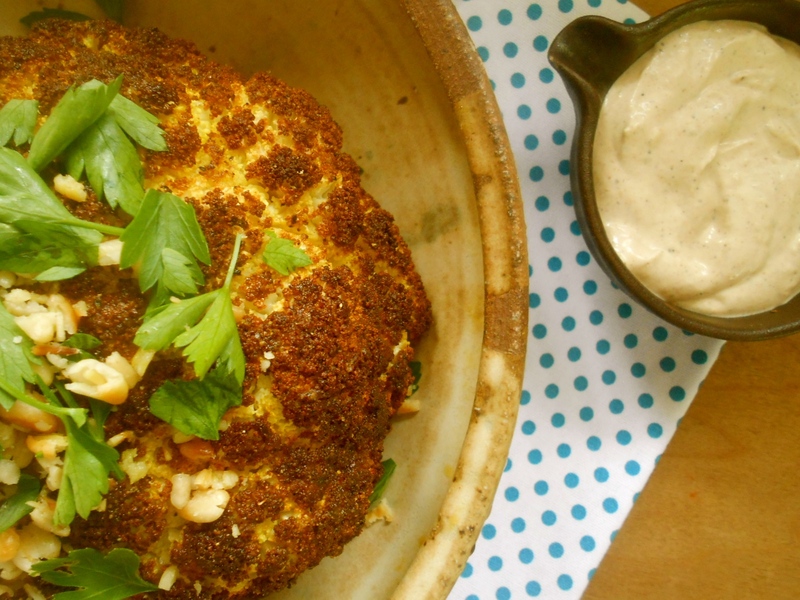 While the cauliflower is roasting combine creamy sauce ingredients in a bowl and set aside. Cool for 5 minutes and transfer the cauliflower to a serving dish. 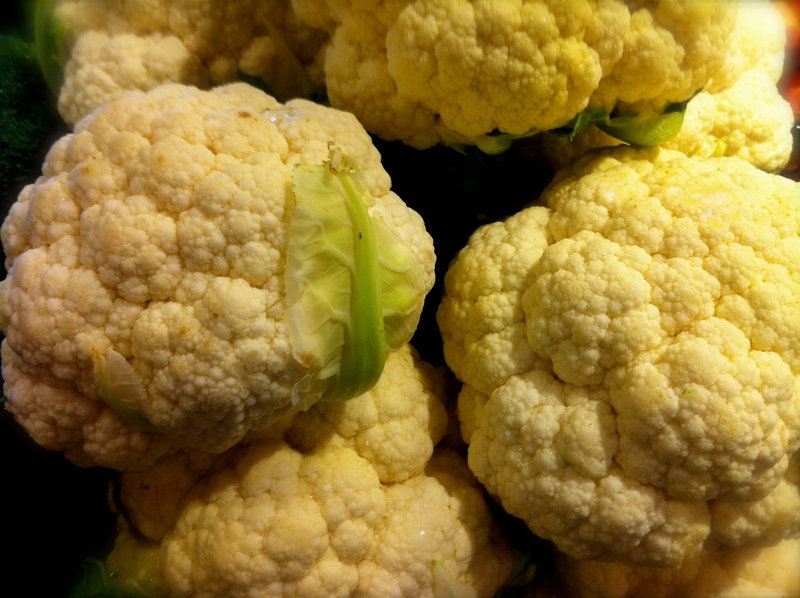 For serving either slice the cauliflower into “steaks” or separate the florets. 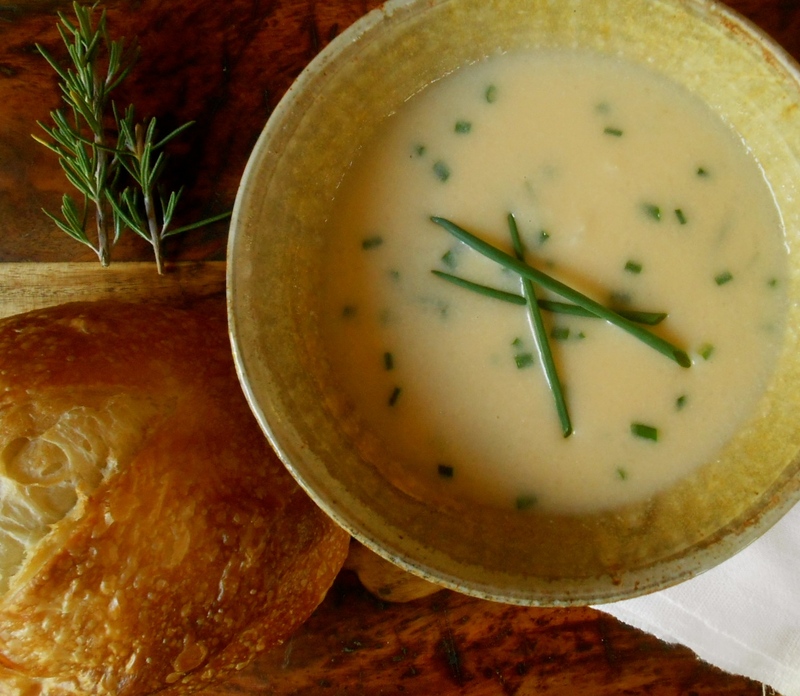 Serve with the creamy sauce for dipping. Hello. 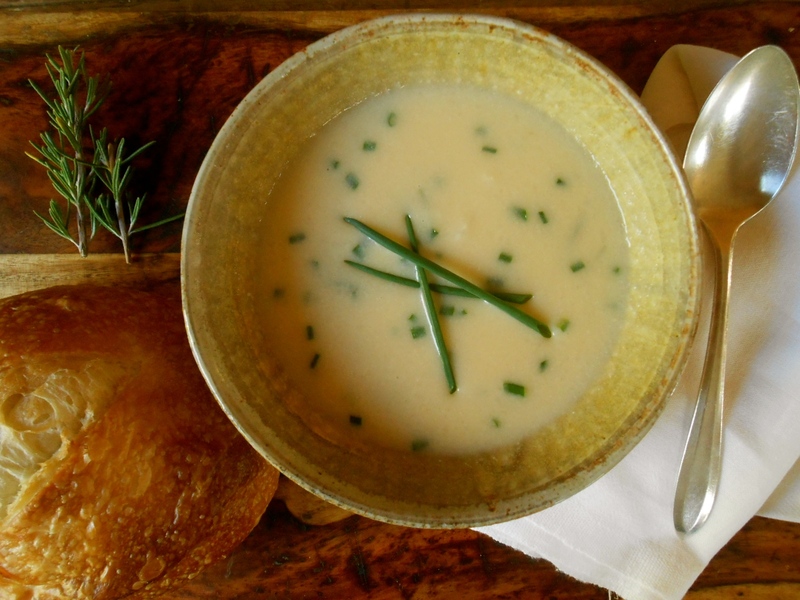 It’s hard to imagine it’s October and I haven’t posted a single recipe since August 27th. Well, it isn’t because I haven’t been in the kitchen because I have been making dinner everyday and breakfast on the weekends. Actually, the kitchen is my favorite place to be during these very busy times. While some folks can not imagine entering the kitchen and cooking a meal after working all day; I happen to thrive on it. I guess it can be considered my happy place! Well, I’m back. And I am here to share some of my recent favorites. I simply cannot get enough of these sensational pots of goodness. First, if you share my sentiment for chana dal, try this recipe. Wonderfully spicy, comforting and It happens to be my teenage son’s favorite dinner now and the leftovers are great for breakfast. Another dish on high rotation in our kitchen is this french green lentil recipe I posted back in March; a truly delicious early spring dinner and even better in autumn. 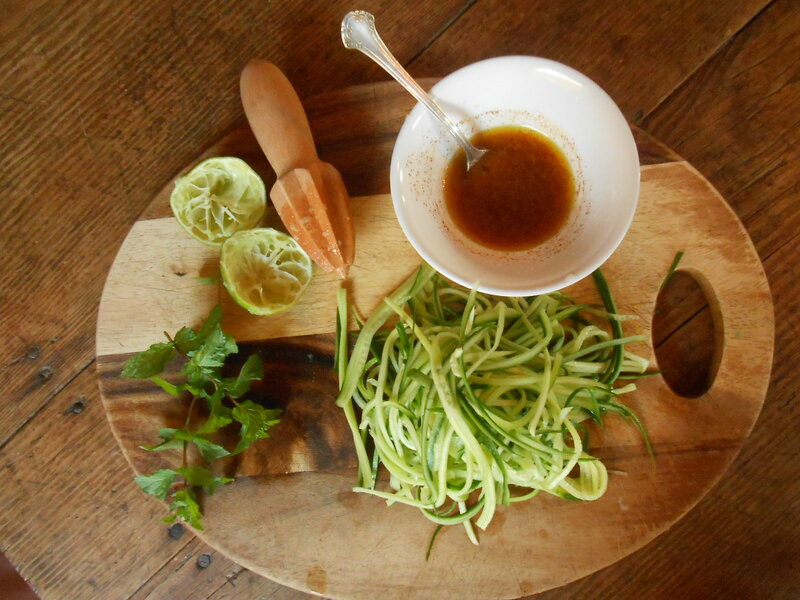 Lastly, today’s recipe, chili lime cucumber noodles. Thank goodness my family enjoys cucumbers, and spicy chipotle, and arugula because this salad has been in the middle of our dinner table on a number of occasions for the past two months. And it all started with this. This is my new julienne peeler made by OXO. A dear friend gave this to me a few months ago and I have been using it like I have never used a kitchen tool before. 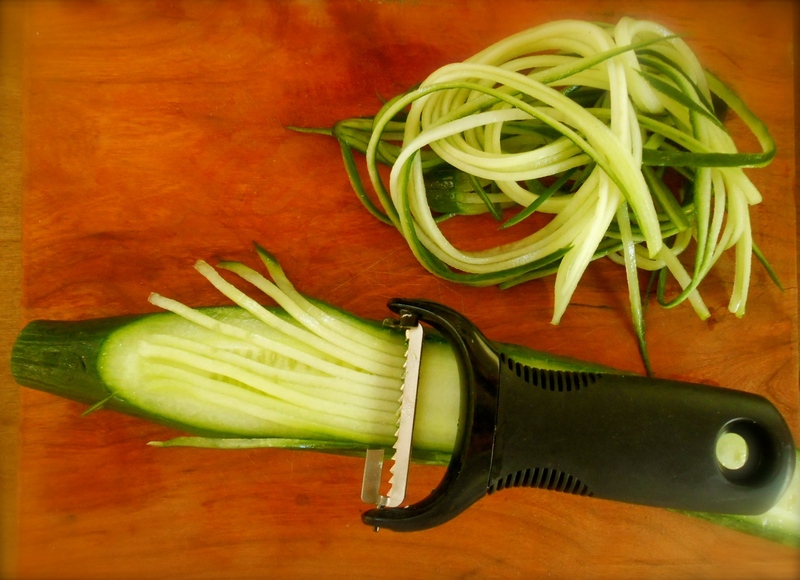 Not only is it fun to use but it produces a satisfying texture to cucumbers, carrots, zucchini and even potatoes for hash browns. It is a game changer. Spring for it, you will be glad you did. :) This salad is very attractive and texturally crunchy. It’s a little sweet from the honey, spicy from chipotle powder and plenty of salt, pepper and lime juice. There’s just a bit of olive oil and a big handful of arugula, mint and basil. It’s delicious. 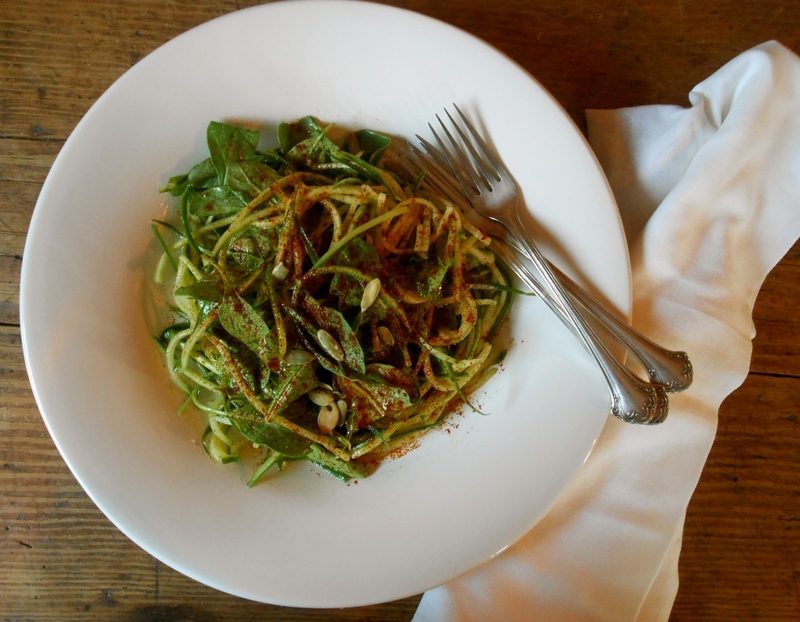 And you could use zucchini instead of cucumber, it is equally delightful. Combine the lime juice, salt, chipotle powder, olive oil, and honey in a small bowl. Taste and add more chipotle heat or honey to your liking. 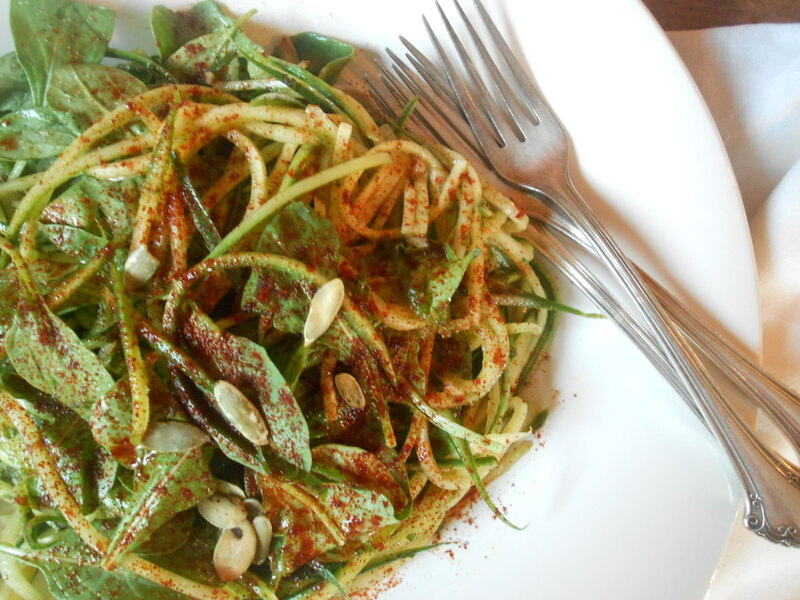 Toss with the cucumber noodles and arugula until evenly mixed. Add mint and basil and pepper to taste and give a few tosses to combine. Eat right away. 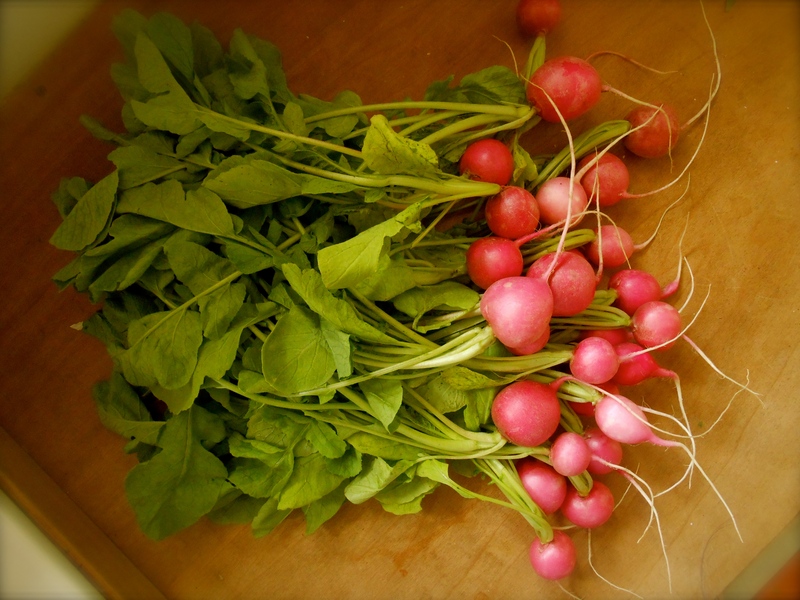 Did you know you can make a delicious pesto sauce with radish leaves? Up until now I always tossed the leaves into the compost bin without much thought. I brought home two fresh bunches of radishes from the market the other day and the greens were wonderfully alive, crisp and vibrantly green; I just had to use them instead of throwing them away. Radish leaves don’t stay fresh for very long, and it’s best to separate them from the roots soon after harvesting or bringing them home from the market. 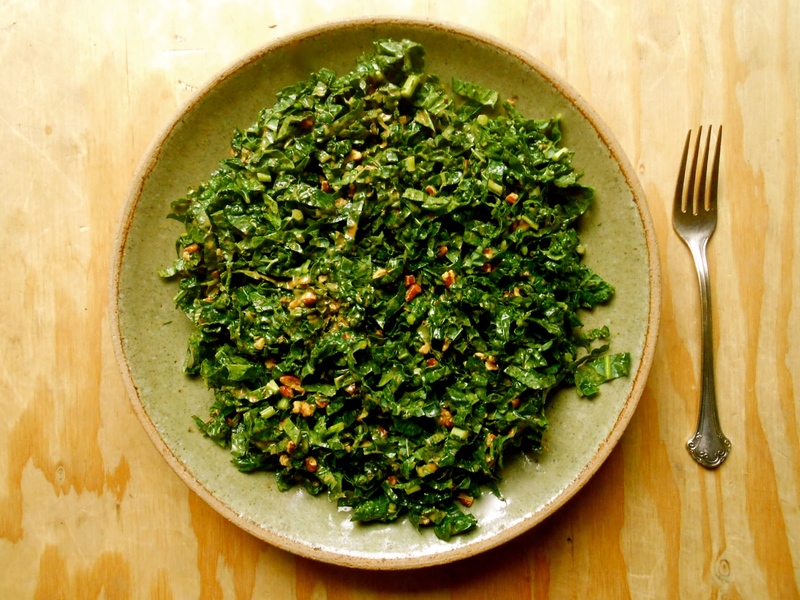 Wash, dry and store the leaves like other salad greens and eat them within a day or two. 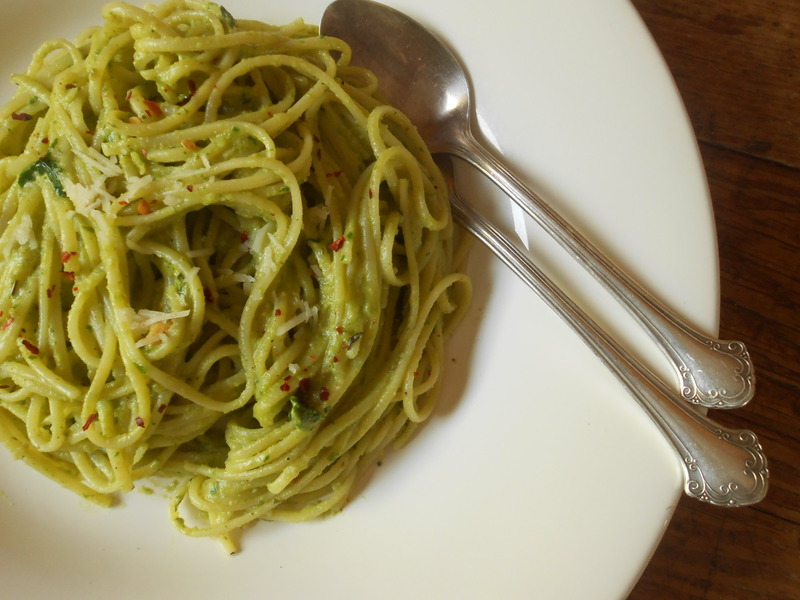 Garlic, fresh oregano, lemon juice, almonds, red pepper flakes and parmesan are all you need to add to your radish leaves for this wonderful pesto. So, instead of throwing out the greens when you buy a bunch of radishes, turn them into a delicious pesto. To blanch almonds simply drop raw almonds into boiling water for one minute. Drain and rinse with cold water and the skins slip off effortlessly when pinched. Put the radish leaves, garlic, oregano, lemon juice, blanched almonds, salt, pepper and red pepper flakes in a food processor and pulse to form a coarse purée. With the motor running, pour in the olive oil and process until smooth. Add half the cheese and pulse a few more times. Taste and add more salt or pepper if you like. Set aside until ready to dress the pasta. Bring a large pot of generously salted water to a boil, add the pasta, and cook until al dente. Scoop out 3 cups of the cooking liquid and reserve, drain the pasta. 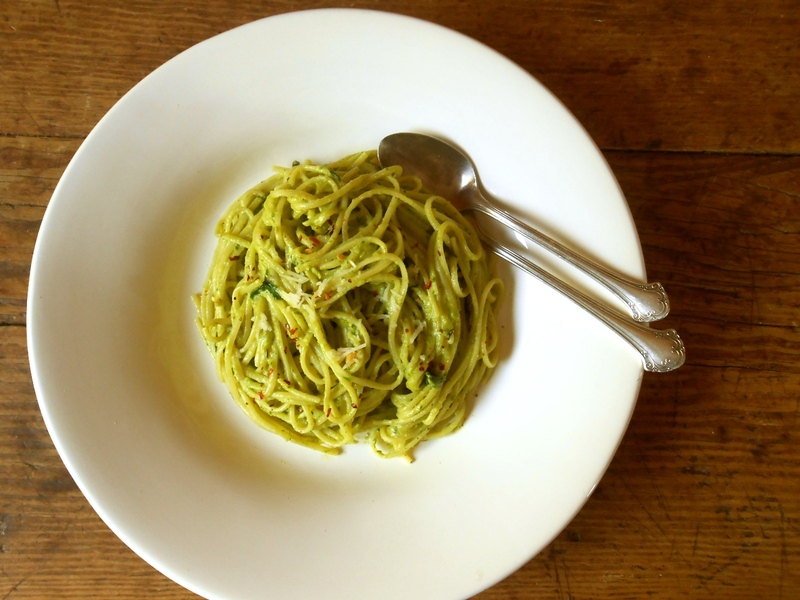 After draining the pasta return to the cooking pot, add the pesto, and gently fold together. Add reserved pasta water as needed to keep the consistency creamy rather than sticky. Serve in shallow pasta bowls right away, with the remaining cheese on the side. 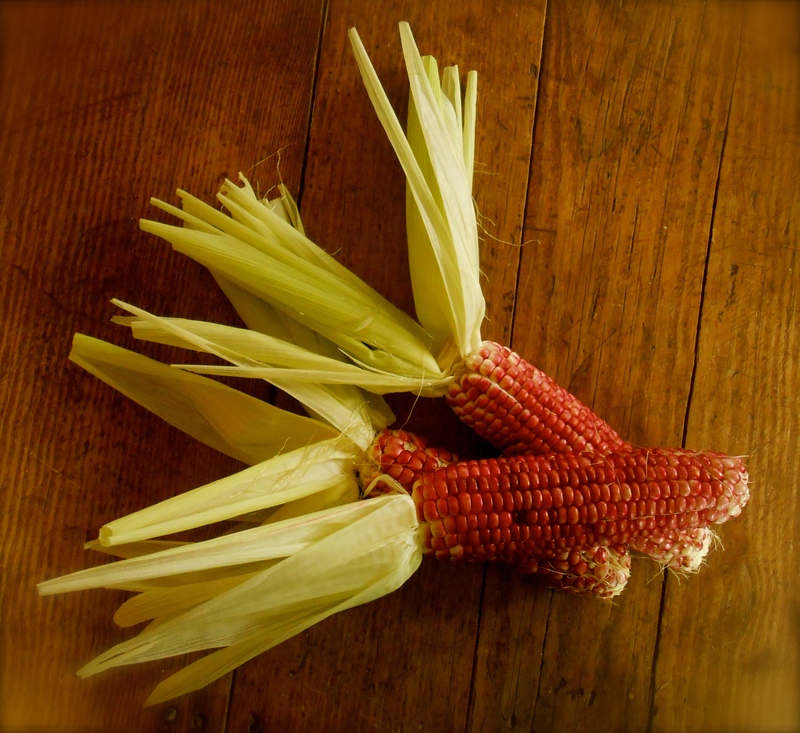 Amusingly the market’s sign on this corn read “Red White Corn”. Hmm. That was enough for me to place three in the basket and roast them for dinner. I like trying different varietals of vegetables, for no other reason than “variety”. The other day we picked up pinky sized zucchini and although I do enjoy bitter flavor they were a bit too much for my palate. Other interesting vegetable varietals I have seen are purple green beans, purple carrots, yellow watermelon and of course lovely red blood oranges. After roasting in a 450°F oven for 30 minutes we sliced the kernels off the cob and tossed with warm cumin butter. Simply delicious. Of course this would be wonderful with “white white corn” or “yellow yellow corn” too. If your kitchen is too hot from the summer heat, grilling is a nice way to cook your corn. An exceptional side dish for your grilled dinner. Recipe adapted from Epicurious. Serves 3. If you are roasting your corn in the oven, preheat oven to 450°F. In a dry small heavy skillet toast seeds over moderate heat, shaking skillet, until fragrant, about 1 minute, and cool. In an electric coffee/spice grinder finely grind seeds with a sprinkling of salt. 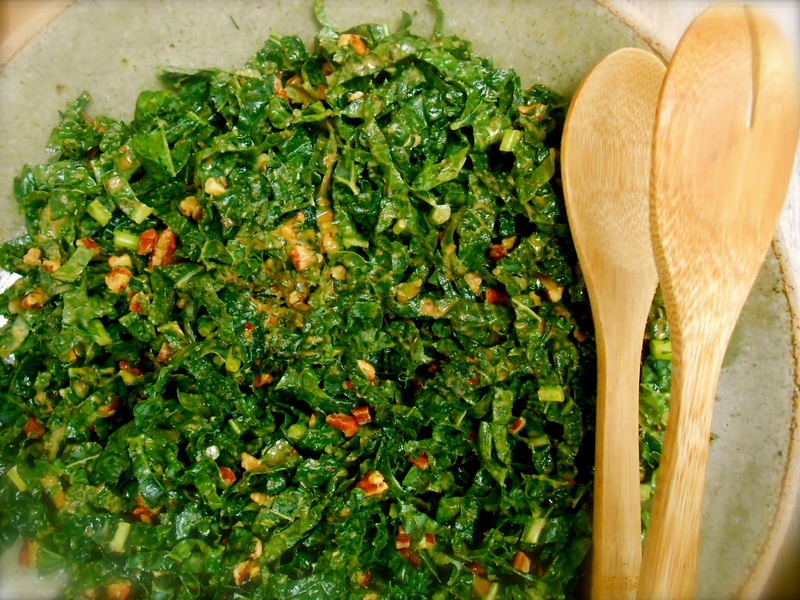 In a saucepan melt butter with cumin salt and stir in scallion greens and lemon juice. Cool butter. 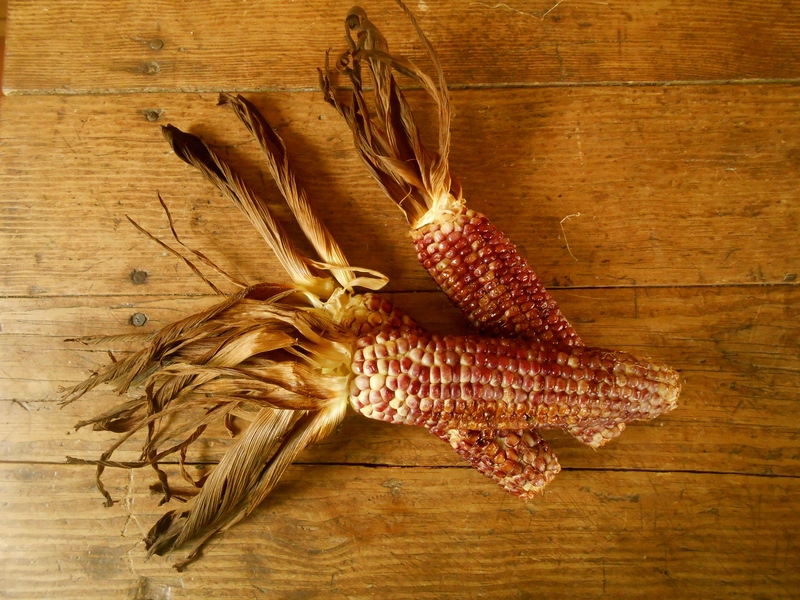 While butter is cooling, peel back husks from corn, leaving them attached at base of ears, and discard silk. 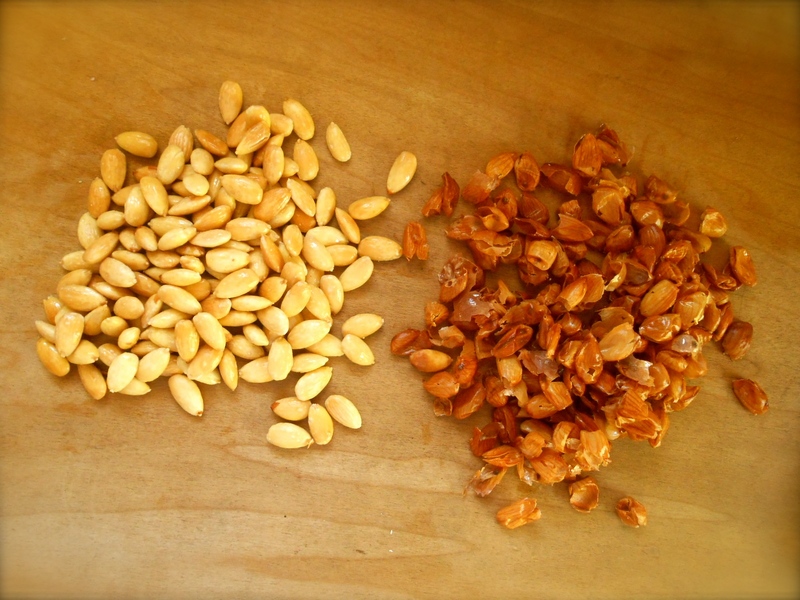 Brush kernels with olive oil and place on a baking sheet. Roast in oven for 30 minutes until corn turns a golden brown. Remove the corn from the oven and allow to cool. 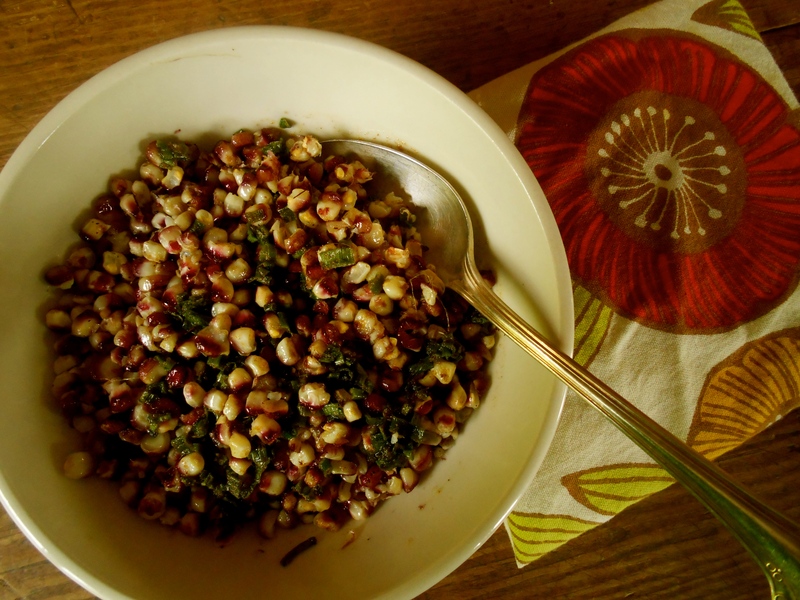 If you are leaving your kernels on the cob, serve with warm cumin butter. Otherwise, slice the corn kernels off of the cob and toss with warm cumin butter. You are currently browsing entries tagged with vegetarian at COTTAGE GROVE HOUSE.